Mumbai, Feb 2: Geeta Phogat believes a woman can only look beautiful if she is healthy and strong. 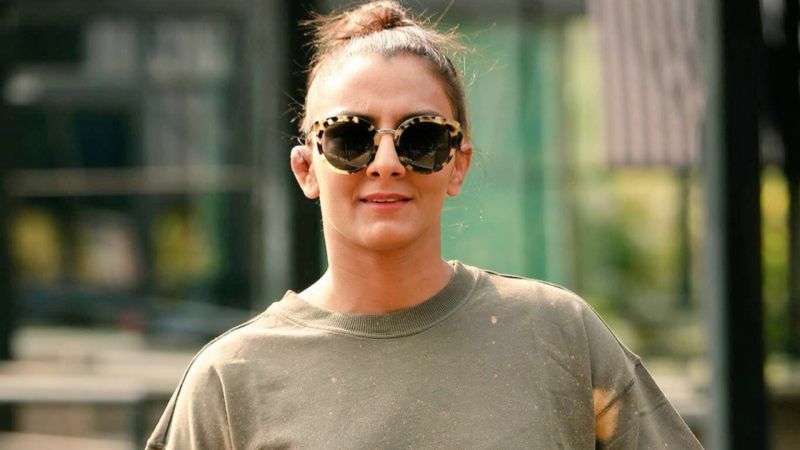 The Commonwealth gold medallist, who made her ramp debut on Friday with designer Rina Singh's label 'Eka' at the ongoing Lakme Fashion Week Summer/Resort 2019, said women must focus on developing their inner strength. "It was my first experience of walking the ramp. But it was scarier than going into wrestling ring. It was a nice experience. It was great to meet so many strong and inspiring people," Geeta told reporters here post the show. "Inner strength is very important. If you are not strong from inside you can never look beautiful from outside. My aim was to come here and give this message," she added. Celebrating #beautifullystrong women across India, the show, presented in association with Lupin Life's Corcal bone & beauty supplement for women, saw 11 influencers from various fields turning showstopper. Apart from Phogat, actors Tillotama Shome, Sayani Gupta, theatre artiste Aisha Syed, and chef Sara Todd took to the runway. Phogat said she feels proud that Rina, who also hails from Haryana, has made a mark in the fashion industry. "Rina is from Haryana and to reach such a position is commendable. I believe the hardwork she has done to reach this level is equal to the amount of hardwork my father has put in to make us wrestlers." Titled "Post Cards of Summer", Rina's collection was all about sheers, laces and delicate layers crafted in pink and pastel shades. Lakme Fashion Week Summer/Resort 2019 ends on Sunday.